An unmissable opportunity to explore the beauties of Grande-Terre, the ‘right wing’ of the island of Guadeloupe. With its picturesque beaches and lovely natural scenery, this excursion is perfect for those wishing to see the best Grande-Terre has to offer. 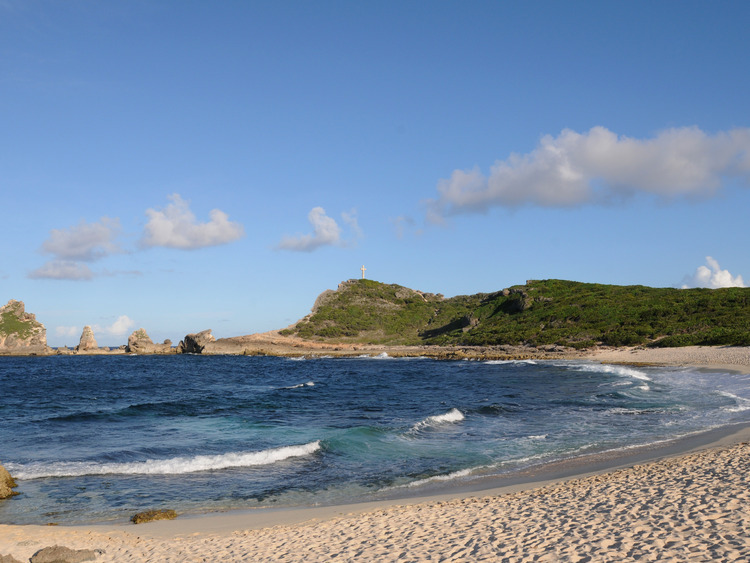 Discover the southern coast of Grande Terre island joining this fabulous tour. Along the road to go to Saint-François, see the old windmills ruins reflecting the past of Grande-Terre island as a sugar hub . Visit the local market. Then Castle Point Peninsula, a natural site offering dramatic views on the Atlantic Ocean, protected by France’s National Forest Office. Before back to the ship, enjoy a refreshment and a swim in the calm emerald waters of one of the numerous coves of L'Anse à la Gourde. There is limited availability of guides. The tour could be guided in French. This excursion is available both for transit and disembarking guests. For those who disembark in Guadalupe please make sure your flight leaves after 17:30. We invite you to verify the compatibility with the excursion office.